Aaron Cole September 12, 2018 Comment Now! 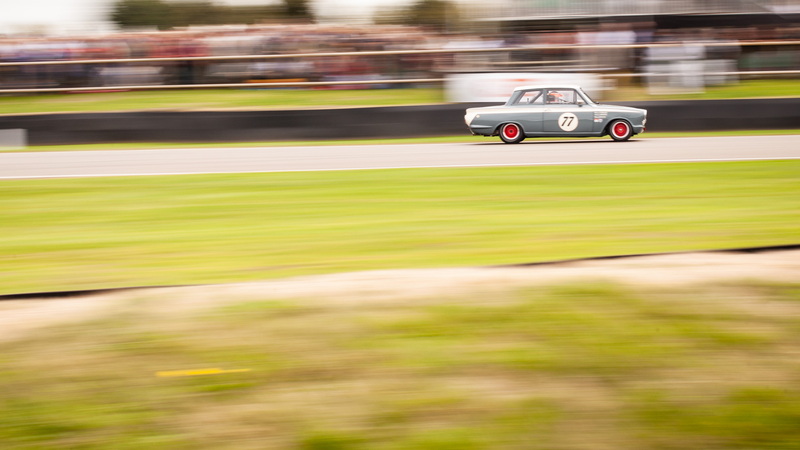 Color slowly fades from sunset at the Goodwood Motor Circuit like an aging photograph. The sun sets low on the southern England horizon like the high desert. Bright yellows edge toward a brassy orange, tip toward a sultry red, and effortlessly disappear from the day. 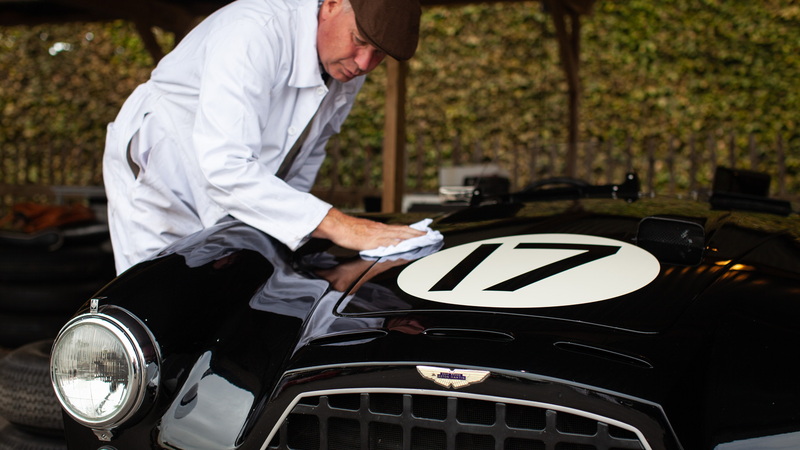 The pits and paddock drip with spotless Ferraris dressed in red, curvy McLarens in midnight blacks and fiery oranges, and the sheen of cream-colored Austins and Jaguars in spectacular British racing green. It’d be a sight to behold on its own if the sounds weren’t even better. Goodwood is the home of the annual Revival, a festival of our dreams—if we all dreamt in oversaturated tones and mellifluous V-8s. It’s the place where old cars race to make new memories. It’s loud. And greasy. And smelly. And beautiful. I’ve been lucky enough to walk through the saturated colors of our dreams three times. The Revival is the kind of gathering that gearheads swim upstream for weeks to find instinctually, smelling the sweet exhaust through dense morning England fog, pouring through the south of England’s gateways like nearby Portsmouth, and filtering through the gates. We meet, smile, smell, die, and are reborn every day. 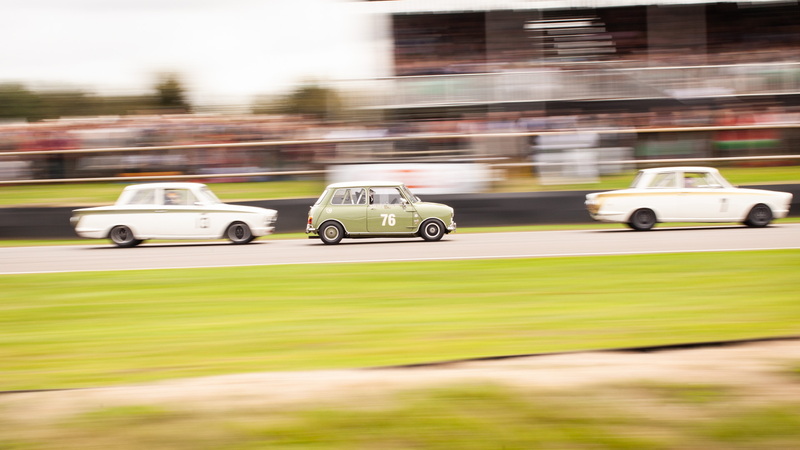 Each year, the event sells out and attracts thousands of people from southern England and across the world wind through the wooden outdoor garages. Gazing at the stalls, aping the engines as they roar and rev, perpetual smiles fill the still-active circuit to the brim. I walk through the paddock on an uncharacteristically warm English Saturday, listening to the gasps of kids piggybacking on top of parents’ shoulders. “What kind of car is that, daddy?” one girl asks. “It’s a McLaren-Chevrolet, honey,” he says. The beginning is a parent’s endearing exhale and the end sparks decades of stories and conversations between parents and their children. It begins here. And it repeats every year. It has for 20 years now. This year, like many years, I wander the frenzied paddocks wondering what that future viability for vintage cars could be in cities, states, and countries that are increasingly hostile toward internal combustion nostalgia like this. What that end for classic cars looks like isn’t so hard to imagine anymore: Internal combustion cars get scrubbed like dirt from the world’s fingernails. They’re too dirty, some say. No one wants them around. They’re the problem. They’re fading away already. There will be ways to stave off that end. Rehabbed classics like Jaguar’s E-type Zero may give classic shapes new futures. Electric retro-machines are already sneaking their way in. The place is buzzing—literally and figuratively—with how to modernize these classics. But vintage races, one-time spectacles, and last-chance promises that all we need is just one more cruise, one more rev, one last time to keep these pretty things’ hearts beating for another minute is the only future that seems likely for now. Maybe our collective understanding of what’s beautiful will change first. These cars, these things, these sounds have char into our unconscious souls for going on 70 years—at least. We’re conditioned to love their comfort like chocolate chip cookies and the warming glow from television on a weeknight. Both of those things are about the same age as most of these cars, but still feel like a part of us like they’ve been there forever. 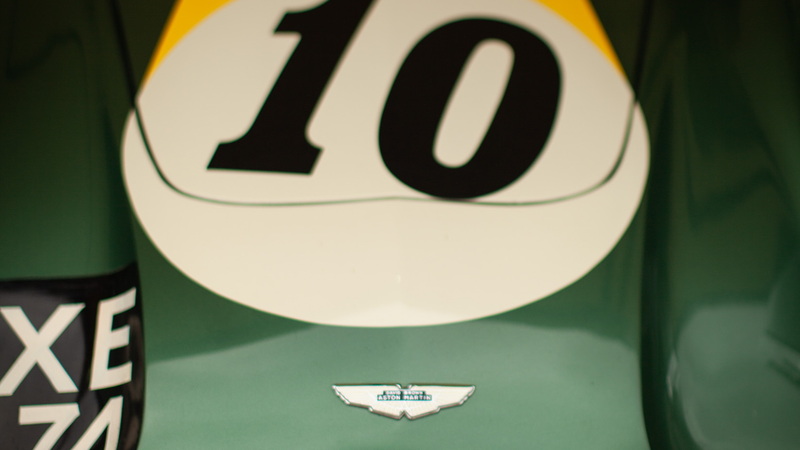 The cars at Goodwood race and remind us that we should cherish the glints we have at our own past, and look forward to our future—with or without them. The festival this Saturday isn’t without its faults: some cars don’t run, some mores aren’t worth holding on to, some things must just die. They’ll be replaced with things that we can love just the same, updated for us. It’s that realization for me and the speckled-face father telling sepia-colored stories about “Mack-LARENs” and the other cars: Anything taken too seriously won’t last. Our lives, these things, are all memories for us. Whether they’re made, or yet-to-be made, these machines have a right to be in our collective histories because we want them to be. We’ll be gone sometime, but the memories won’t. Some will carry on, others won’t. Some will choose to celebrate their histories and their place in our deeper souls. I do, too. The sun is setting for some of these cars on this brilliant spectacle, but for now, the colors are spectacular.